Schletter Inc., a worldwide leader in solar mounting systems, announces plans to relocate the company’s North American headquarters to the East Coast, drastically reducing transportation costs while increasing response time for customers in the region. More US manufacturing demonstrates the company’s commitment to provide ARRA compliant products, supporting job creation, and decrease energy consumption used in the transportation of large PV-structures. The Company has set aside an investment package of 25 million USD for the purchase of capital equipment, highly-automated energy efficient production systems, and a facility with a footprint of approximately 100,000 square feet. In addition Schletter plans to hire more than 300 new team members over the next five years. Expanding on current capabilities, the new headquarters will offer a full-scale product demonstration park with on-site NABCEP® certified courses for customers. Administration, engineering, sales and technical customer service will also be located within the new headquarters. With this move, Schletter will have a total of three full-scale production facilities in North America; two facilities in the United States and one in Windsor, Ontario. Schletter will disclose its decision concerning the final location within the next four weeks. The Company’s manufacturing will continue in Arizona, Ontario, and at the new eastern headquarters. Sales and Customer Service Centers will continue to be opened in key markets around the country, as seen with the Hartford, Connecticut office opening this fiscal quarter. The new East Coast headquarters will be the fourth Schletter location in North America. 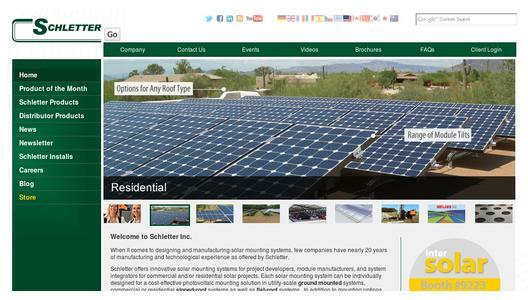 Schletter (www.schletter.us) has designed, developed, and manufactured solar mounting products in the U.S. since 2008, while backed with more than 19-years of solar mounting experience from Schletter GmbH. Since opening its United States facility in Tucson, Arizona Schletter Inc. has manufactured more than 800 MW of installed PV mounting systems. Schletter Inc. offers products for roof mount and ground mount systems for residential, commercial, and utility scale photovoltaic systems. 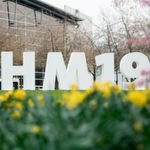 Schletter Inc. is an independent subsidiary of Schletter GmbH, which operates subsidiaries in eleven countries with more than 1,800 employees worldwide. For more information on Schletter GmbH, please visit www.schletter.de.